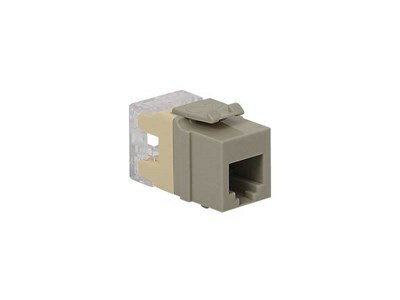 The voice High Density (HD) modular connector, RJ-11 keystone jack, is 6-position 6-conductor (6P6C). It's HD design offers a smaller rear footprint, maximizing space in confined work areas, and allows the use of more connectors within the same space. The connector is designed for business system applications. The IDC accepts 22-24 AWG solid wire and is suitable for use with Apple Talk, DSL, Voice, and Arcnet applications.